Any mailer design you create or upload can be reused in other campaigns. Regardless of whether the campaign is a draft or was previously mailed, you can always access your designs. 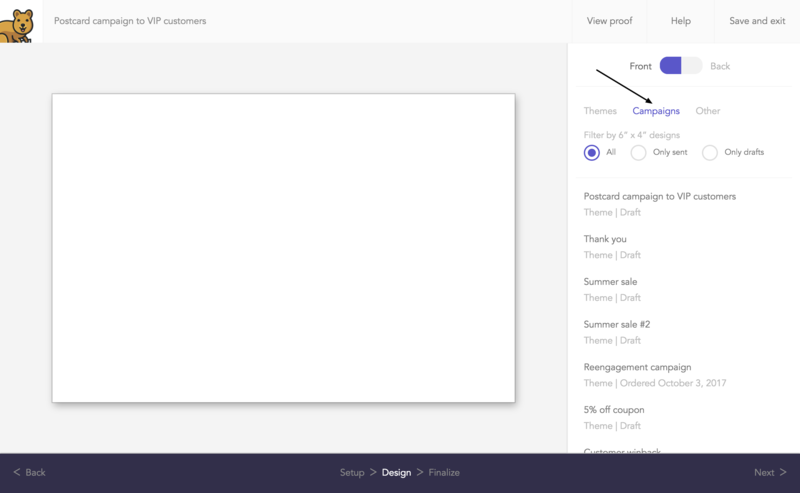 When selecting a template, click Campaigns to access all of your designs. Designs for the front and back sides can be mixed and matched from different campaigns.